Buy a little extra salmon the next time you’re fillet-shopping and cook it all up at once. The next day, pair the cold leftover fish with a hit of lemon-spiked mayo and briny capers for a fancy-looking salmon sandwich that’s perfect lunch for one. In a small bowl, stir together the mayo, capers and lemon juice. 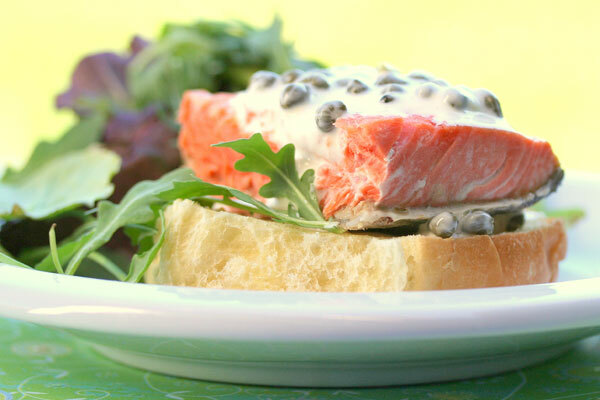 Lay the salmon on a slice of sturdy bread, slather it with the lemon-caper mayo, and serve with fresh, crunchy salad greens.